Oh I love summer! I also love ice tea. When I was growing up in Pennsylvania, I was addicted to a certain sweet ice tea. That sweet memory of sweet, lemony iced tea is with me. I never knew that June is National Iced Tea Month! Did you? To celebrate, I've been sipping away at a Sweet Lemony Iced Tea. It has to be sweet. I love sweet tea. I just don't like the calories with the sugar. 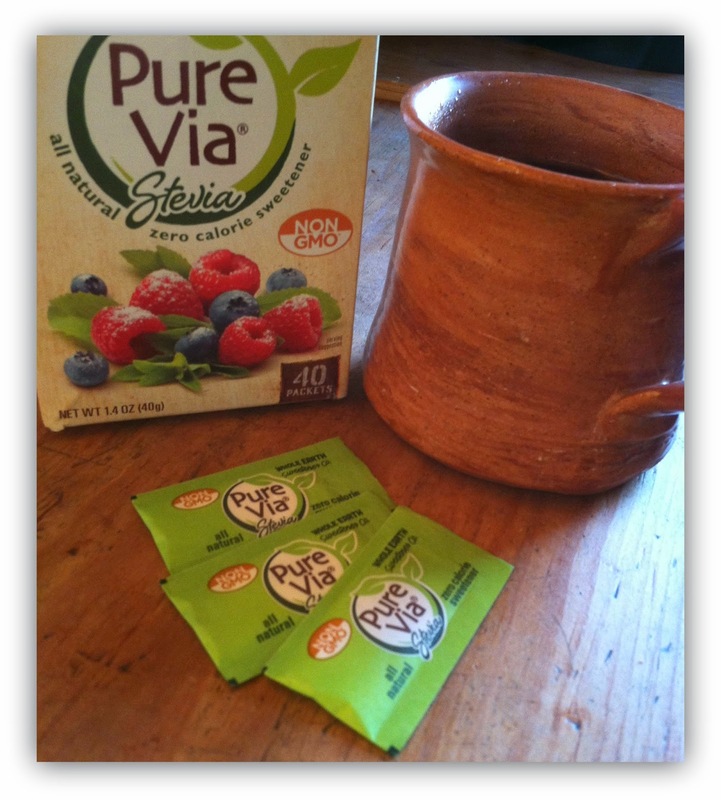 But with Pure Via, a zero calorie Stevia sweetener, I get the sweetness without the calories! Combine all of the ingredients above in a glass of your choice. Either stir or shake - again, you choose. Then sit back and sip your tea, preferably on a deck in the sun. I've read so much about stevia, but never tried it before. I'm happy I did, because now I have a new and improved way to sweeten my tea and coffee. I do have a sweet tooth, and love sweets. I also really enjoy sweet coffee in the morning. 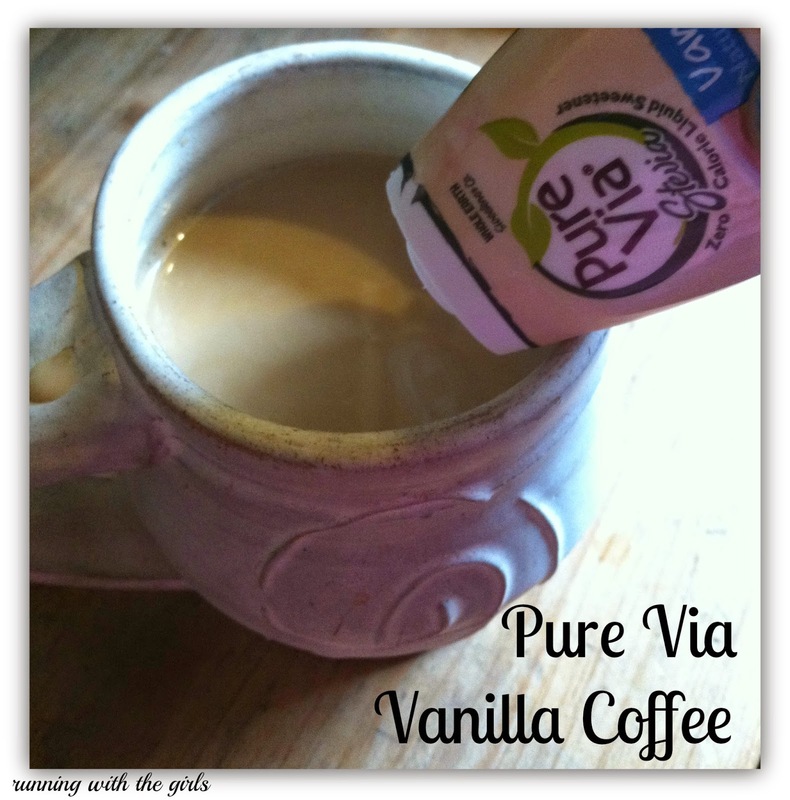 I was able to sweeten my coffee with a hint of vanilla with the Pure Via Vanilla drops. This taste was sweet and smooth. A perfect way to start off my day. My Pure Via Summer kit also came with a box of Pure Via non-GMO packets. They are so sweet and are an incredibly fine powder. I cut the number of packets in half with them in my coffee and still had a sweet morning drink! Very cool it's non-GMO too! 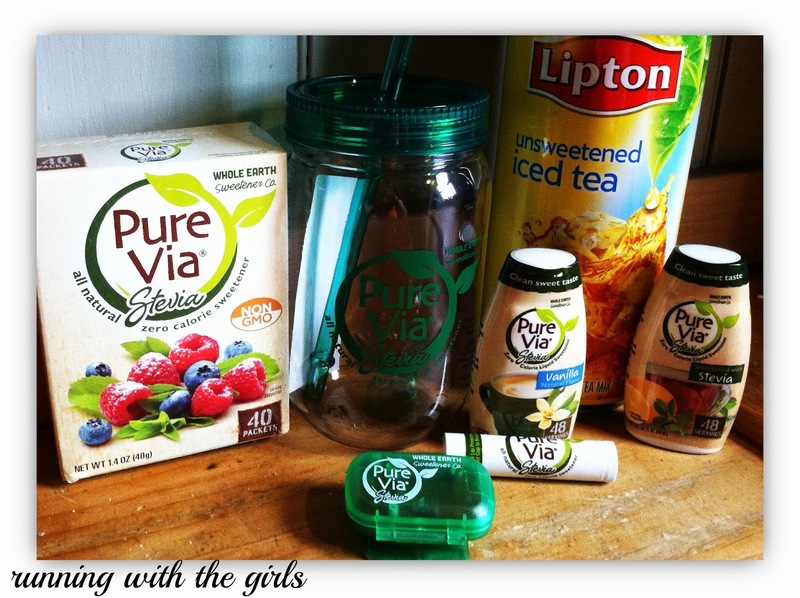 How awesome would it be if one of my fabulous readers to win their own Pure Via Summer Kit? That's right! I have a giveaway for you! In your kit, you'll get everything pictured below. To enter my giveaway, please enter below through Rafflecopter. Giveaway only for US residents. The giveaway will end on June 27th. I will contact my winner through email. I would add pure via to my tea or my smoothies if I need a little sweetness. Or maybe my apple cider vinegar concoction so I can cut down on the amount of apple juice I have to use to cut the vinegar taste. Love the new blog look, but I miss that pic of you running on the beach! I'd add it to my unsweetened tea! I would add it to my green tea. 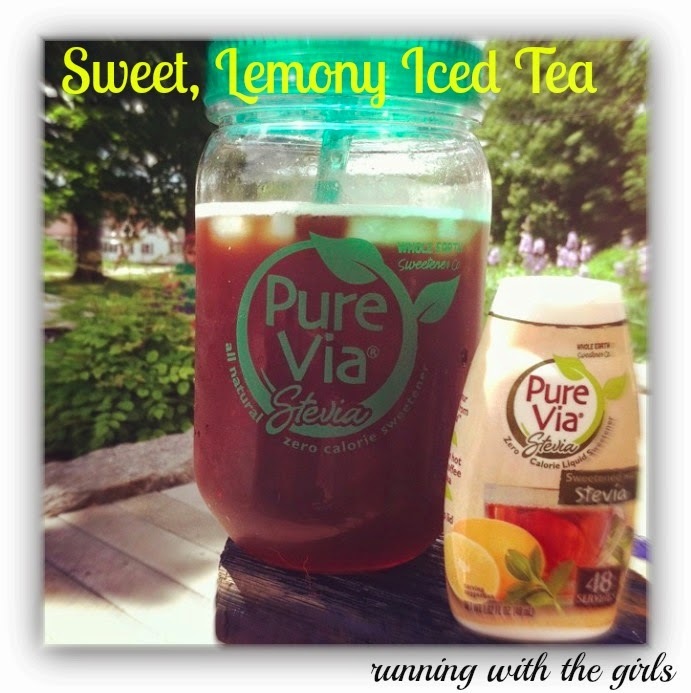 I would love to add it to sun tea and on fresh fruit this summer! I currently use creamer in my coffee to sweeten it up a bit, but I'd love to try this out. I adore tea, and this would be an awesome way to change things up! I would use it for tea and coffee. I would actually use it for something similar!